NamWater has started to repair the two pumping lines that convey water from the Calueque Dam into the canal which feeds northern Namibia. The two pumping lines at the Calueque Dam started leaking in December 2017, just before the festive holidays. Work on the first line started on 16 December 2017. This was to take a duration of two weeks. The 300km pipeline and canal extend across Angola’s border into Namibia. The canal is responsible for supplying towns as far away as Oshakati. In a statement released last week, NamWater said a lot of water was wasted through the leakages. This, they said interrupted the flow of the entire pumping scheme, putting the security of water supply at risk. The statement added that currently, work on the first pumping line is in its third week of repair. Moreover, the major work is already complete. The line will resume normal operations within the next two weeks. NamWater further explained that the current availability of raw water supply is not being tasked to the four NamWater purification plants. 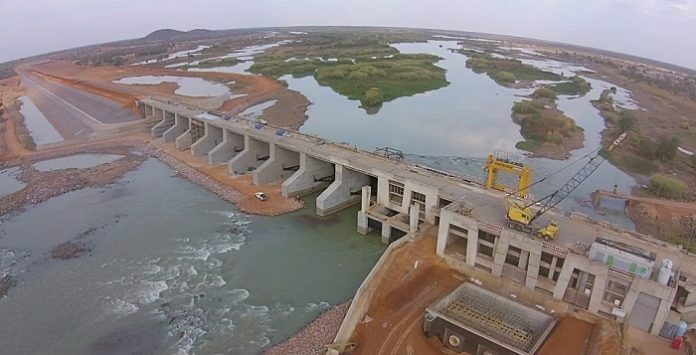 Furthermore, NamWater will resume the normal abstraction of utilizing two pumps from the Calueque Dam to north-central Namibia once the repair work on the first line is complete. NamWater extracts about two cubic metres of water per second at Calueque. In 2012, they were spending close to US $162,000 to maintain the canal and the pumping lines. Completed in 1976, the Calueque Dam is one of the last landmarks along the Kunene River between Angola and Namibia.